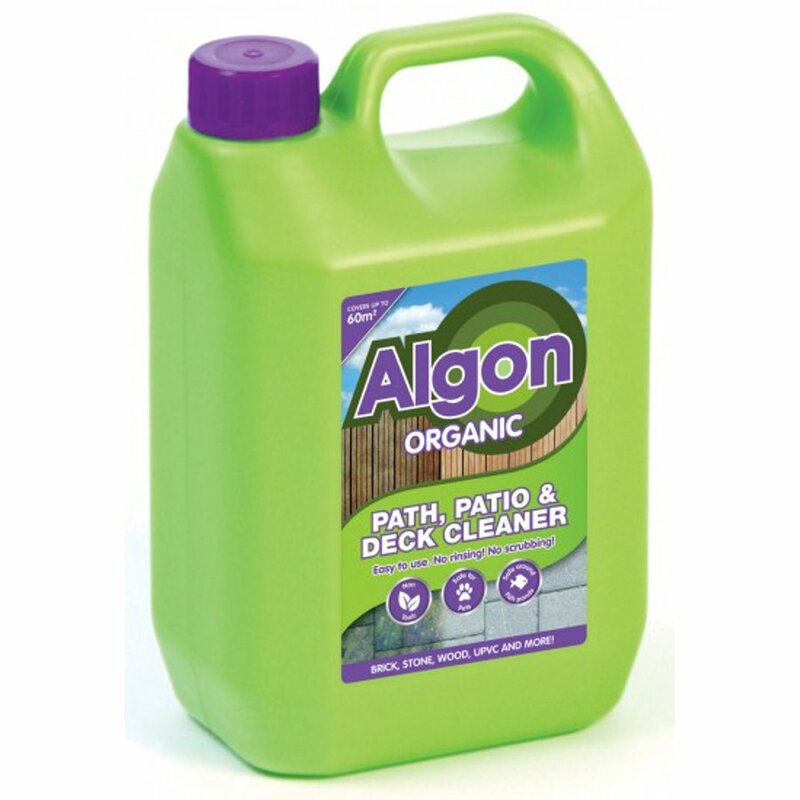 This organic path and patio cleaner helps to restore the natural colour of most outdoor surfaces. No scrubbing or rinsing is necessary – simply apply and walk away; results will show within a week and will last up to a year. Dilute 1 part Algon to 3 parts water. 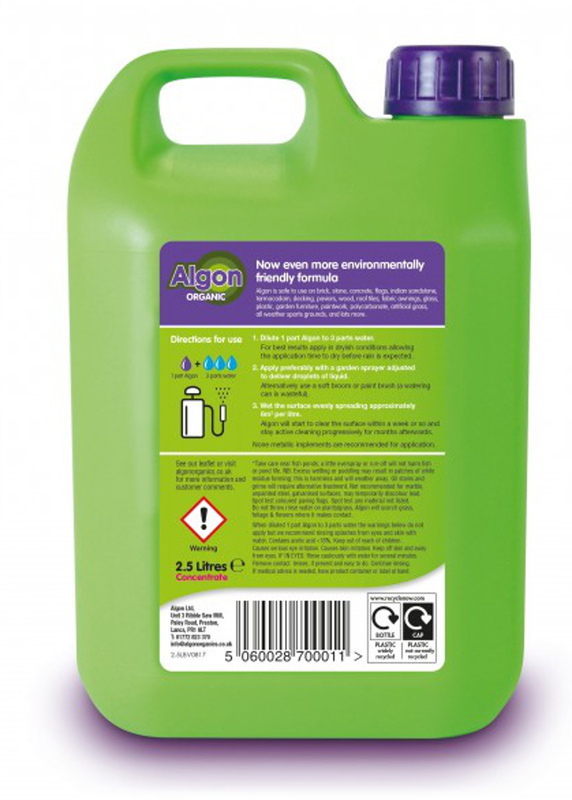 The Organic Path and Patio Cleaner 2.5L product ethics are indicated below. To learn more about these product ethics and to see related products, follow the links below. Had before. Great for cleaning decking and garden furniture knowing the run-off won't harm the garden or wildlife. Q: Is it safe to use near ponds and on wooden decking? 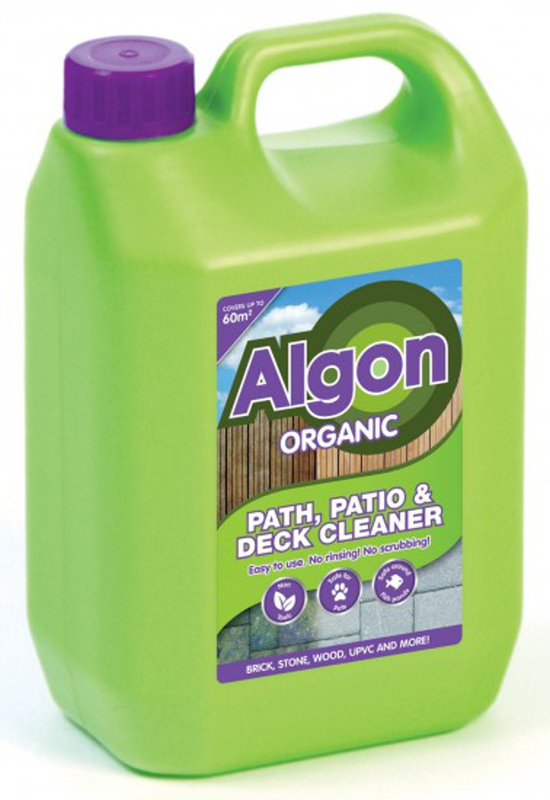 A: Hi, yes, Algon's Path and Patio Cleaner is safe for pets, wildlife and around fish ponds and is suitable for wooden decking. Robyn. 25 out of 26 found this question and answer helpful. A: Hi, yes you can! 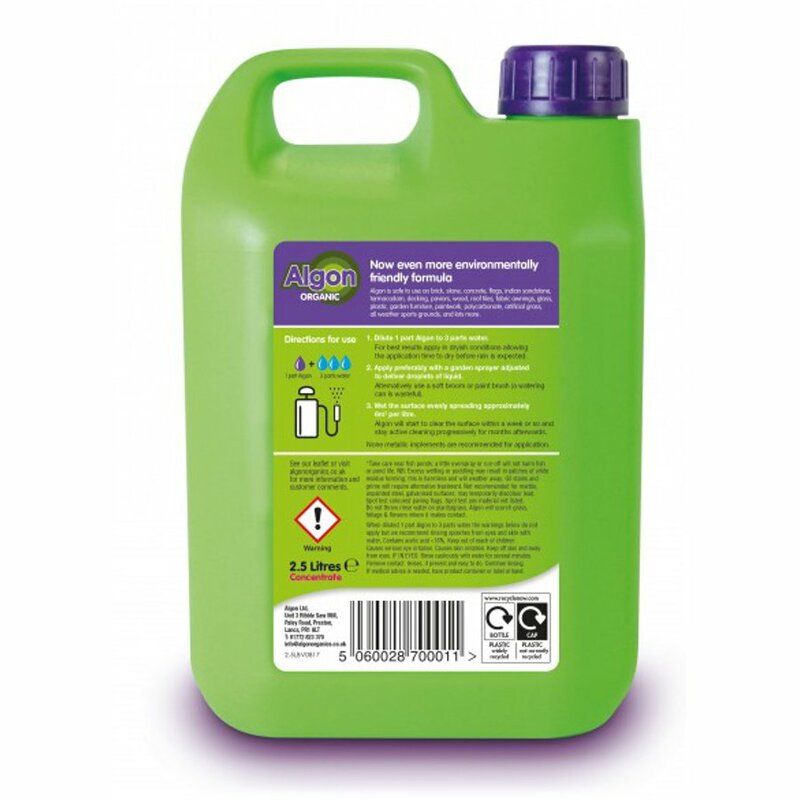 Algon Path and Patio Cleaner will be suitable for cleaning all those items. Robyn. 5 out of 5 found this question and answer helpful.